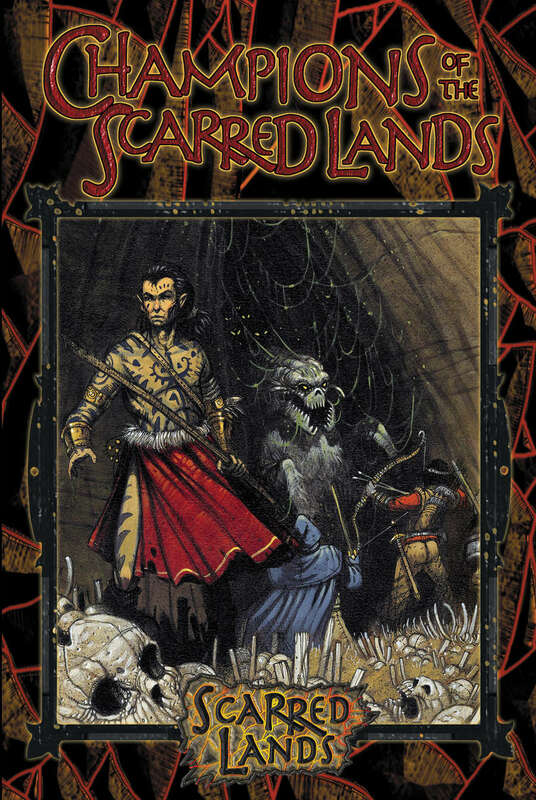 Now available in print-on-demand for the first time from DriveThruFiction, the classic Scarred Lands anthology Champions of the Scarred Lands! The ancient races of the world known as Scarn still remember a time of relative peace, when they were ruled by titans and the land was whole. Now those times are gone. Over a hundred years ago, the race of young gods overthrew the titans in a bloody war. Their battles shattered mountains, blighted forests and decimated the inhabitants of Scarn. The world that survived is now known as the Scarred Lands. The gods are victorious, the titans have been imprisoned and the people caught between have slowly rebuilt their civilizations. 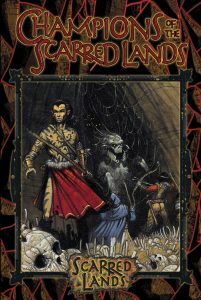 The first Scarred Lands anthology tells the stories of the heroes and villains who have left the greates mark on the new world. It collects tales of King Virduk of Calastia, the Incarnate, Barconius the holy knight of Corean and more. Enter this fantastic world in its time of new legends. 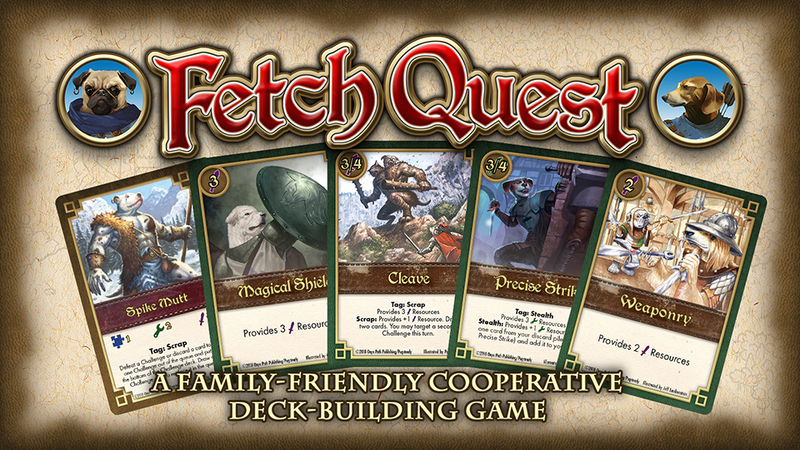 DriveThruRPG’s May D&D sale has just over a week remaining, with discounts on tons of great Pugmire and Scarred Lands material from Onyx Path! White Wolf has just announced that Werewolf: The Apocalypse will be added to the Vault in June!